Susan Harper Furniture is Susan Harper’s small, artisan, furniture making business. Susan is a professionally trained furniture designer, maker and restorer working mainly to commission designing and creating bespoke furniture to suit clients’ requirements. Whether for a private home or a commercial property Susan enjoys the collaborative process working with clients to meet their specific briefs. Often making furniture to fit a certain space or fulfil a purpose. Read more about the commissioning process here. Susan uses local hardwoods (oak, ash, elm and sycamore) and also works with responsibly sourced exotic hardwood veneers such as rosewood and walnut. Among her favourite timbers to work with are elegantly white Scottish sycamore and Scottish elm which has unique grain patterns. Taking influence from Scandinavian and Mid-Century Modern design Susan enjoys making functional and stylish pieces which highlight the natural beauty of the timber. As well as designing and hand-crafting furniture and kitchens Susan also restores antique furniture, undertaking restoration projects of any size. 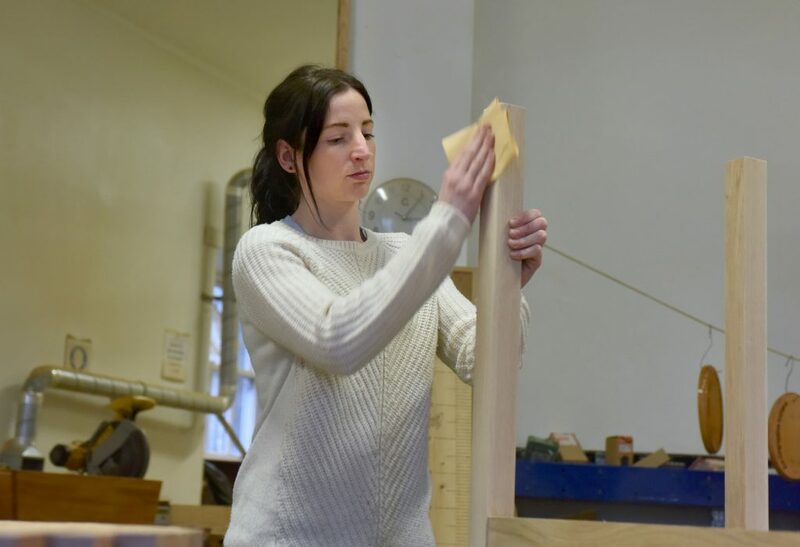 Susan has studied traditional furniture making techniques – this knowledge influences and informs her current design ideas and construction methods.